I was a baby, and so were you. Jesus was a baby too. He learned to walk and run and play. He learned to listen and to pray. He cared for His body and helped it grow. He asked for help when He didn’t know. 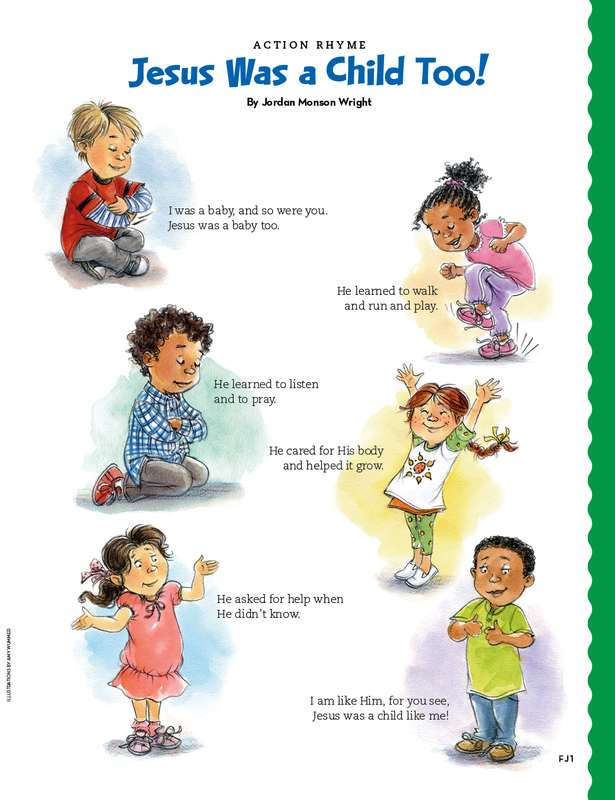 I am like Him, for you see, Jesus was a child like me!